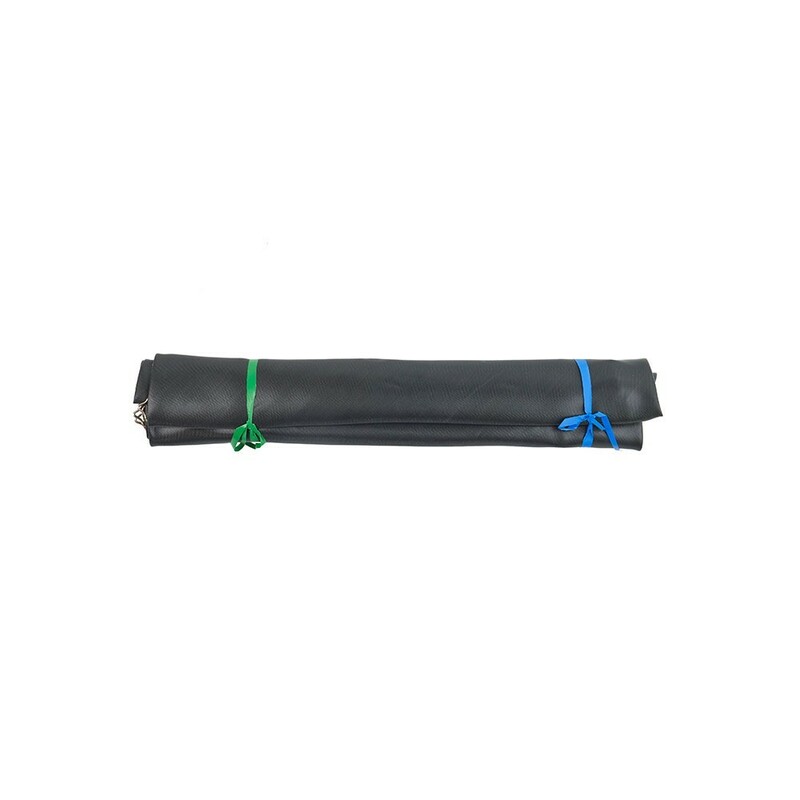 Jumping pad for 4.30 m trampoline with 96 springs of 210 mm in length. 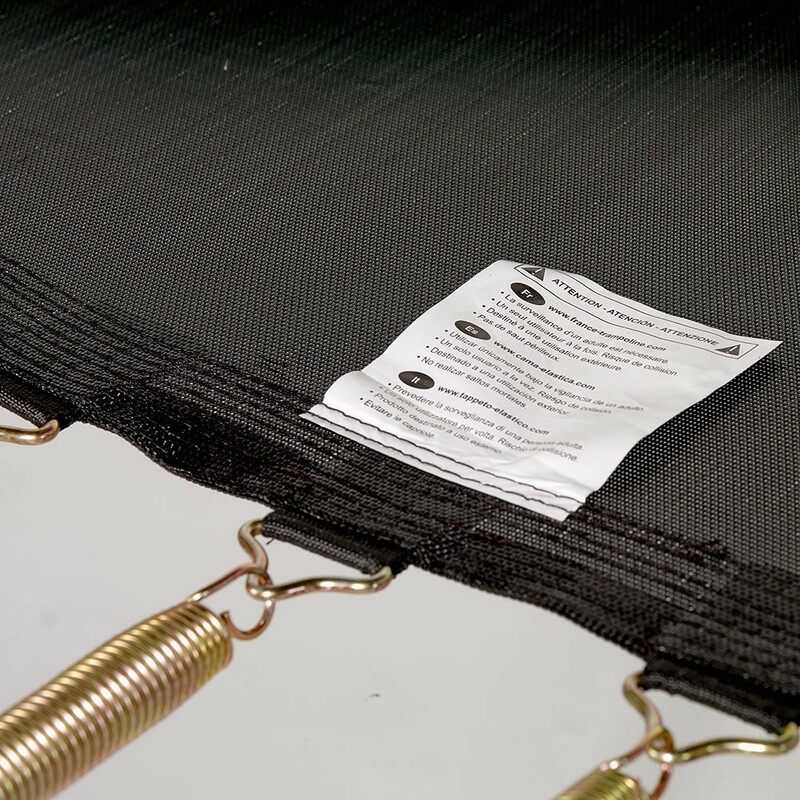 If the jumping mat on your 4.30 m trampoline is damaged, this product can allow you to replace t and ensure its solidity. 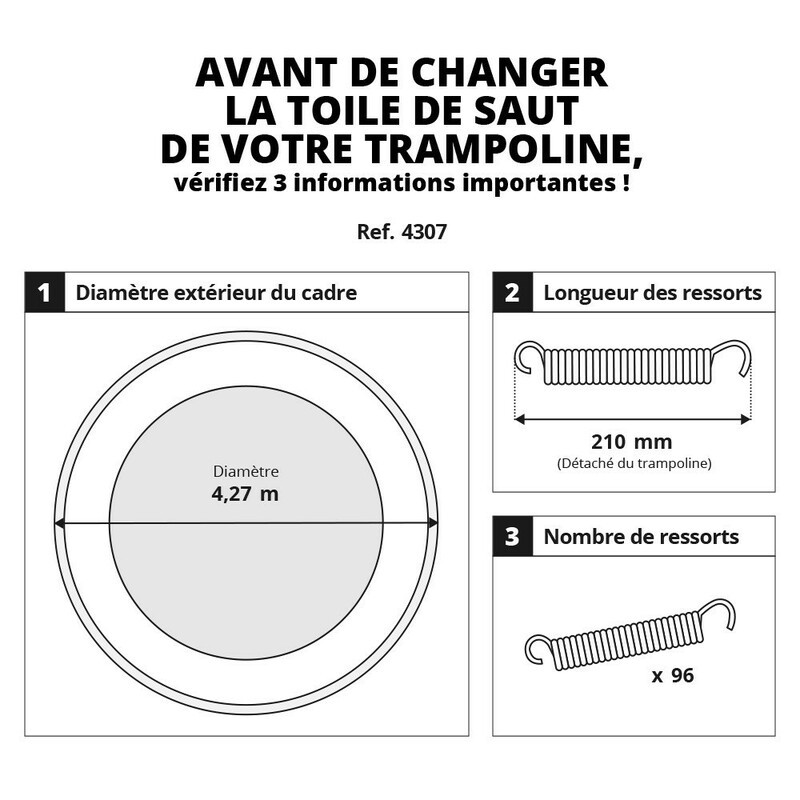 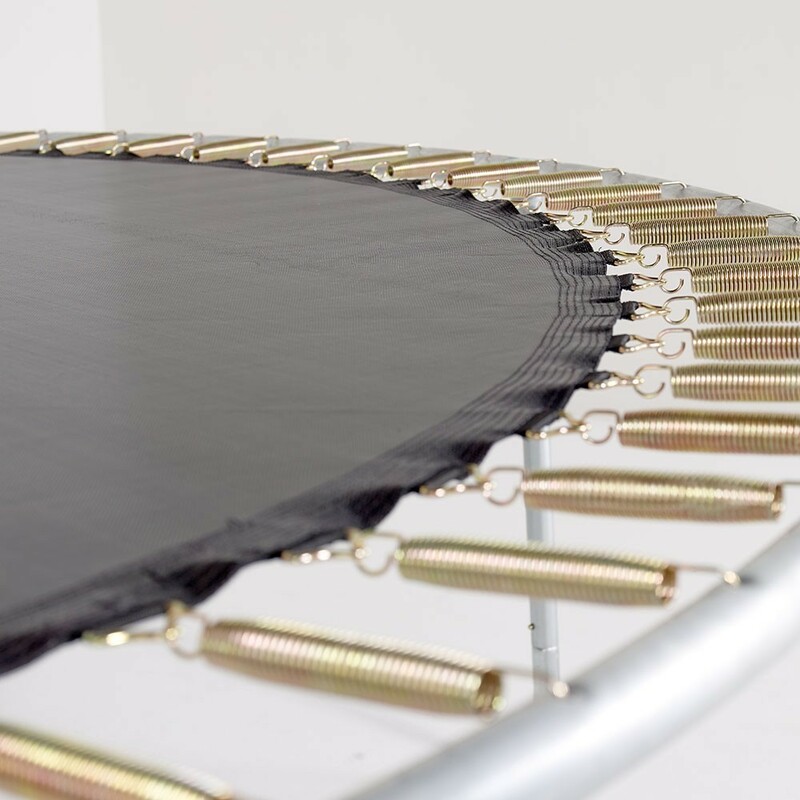 This jumping mat is for 4.27 m in diameter trampolines with 96 springs of 210 mm in length and can also be fitted to any trampoline even if it is a different brand than France Trampoline. 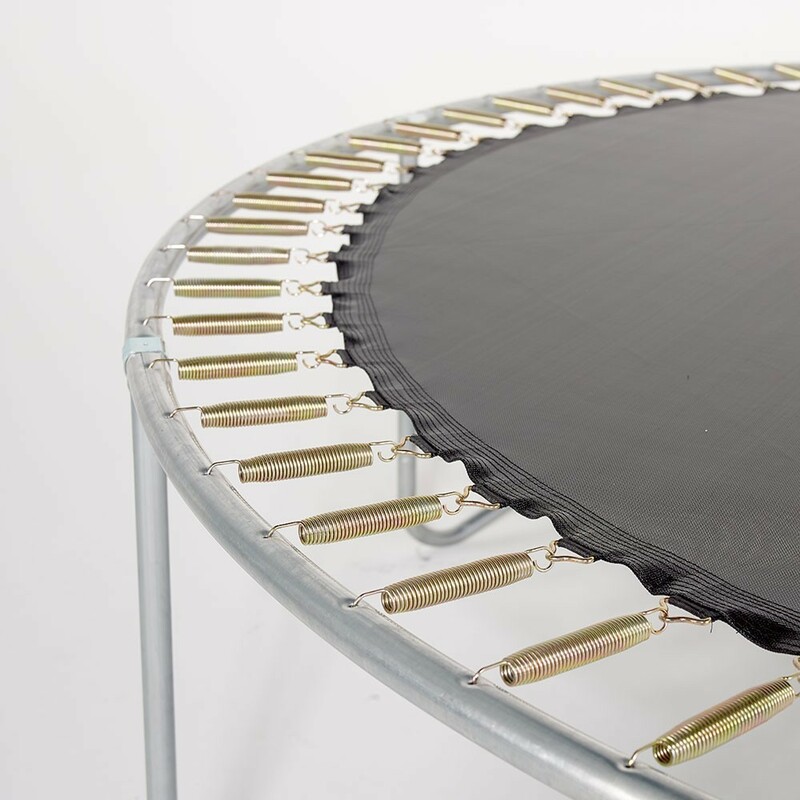 - This jumping mat is adapted to all round trampolines with the same characteristics as the original one: 4.30 m diameter, 96 springs of 210 mm in length. 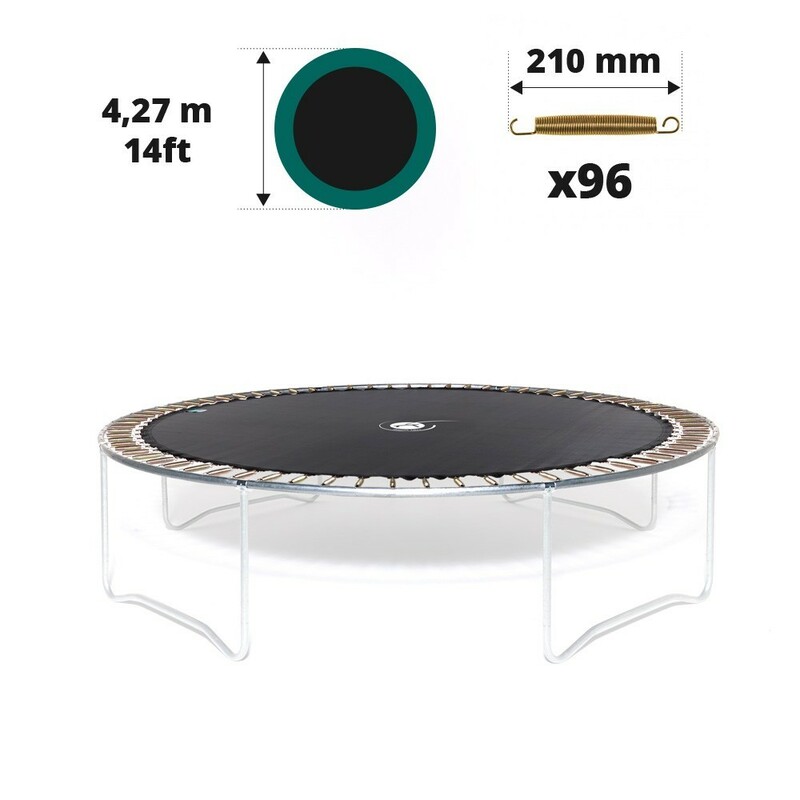 We recommend measuring the exterior diameter of your trampoline carefully with the help of a second person. 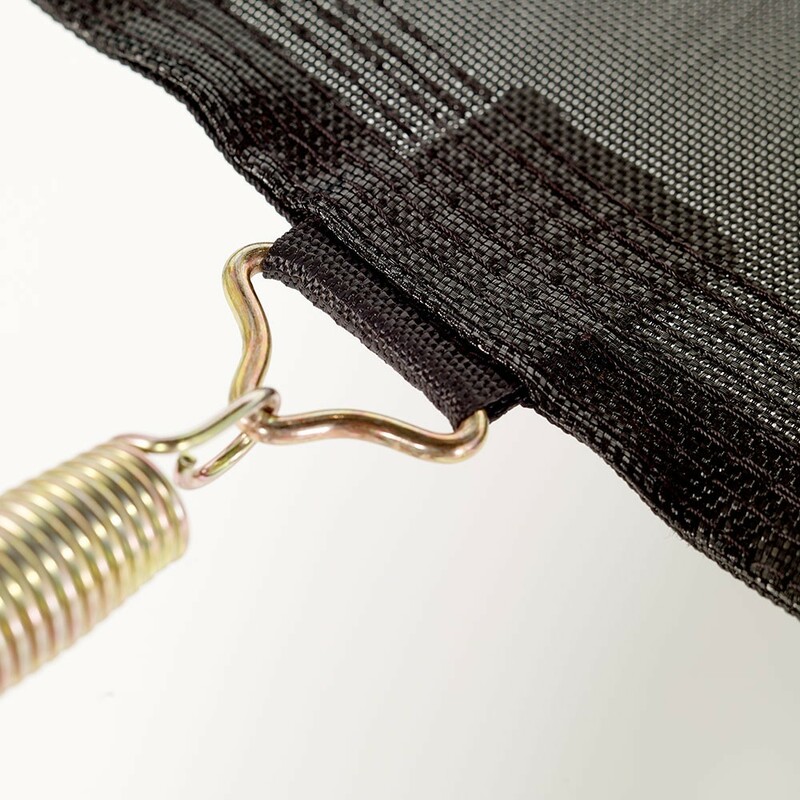 - Make sure you check the size of your springs before you purchase this jumping mat, as it will only fit trampolines with 96 springs of 210 mm in length. 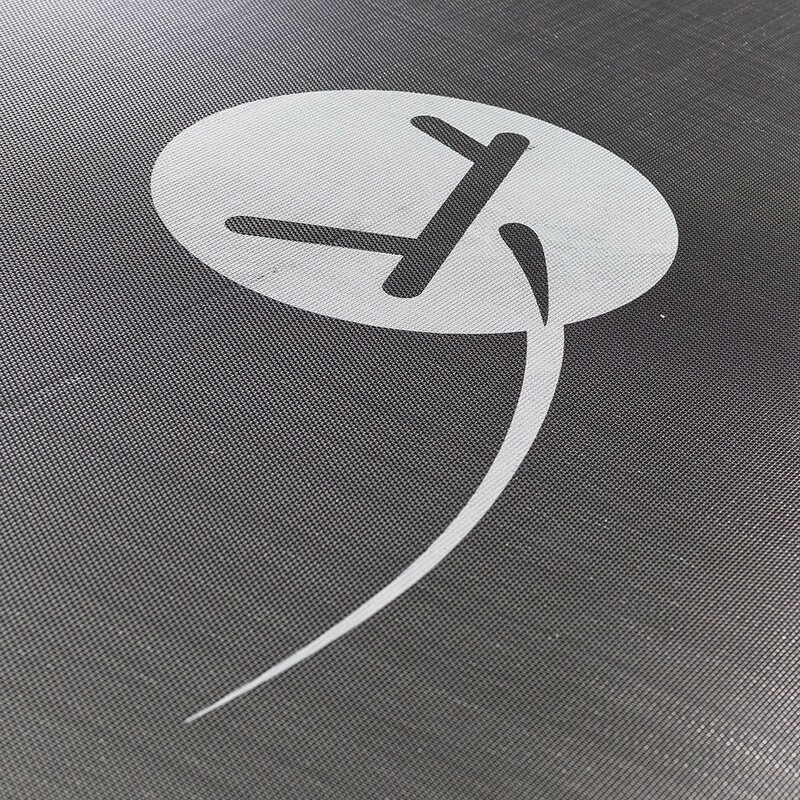 If your springs measure 200 mm and less or 220 mm and more, then this jumping pad will not fit your trampoline. 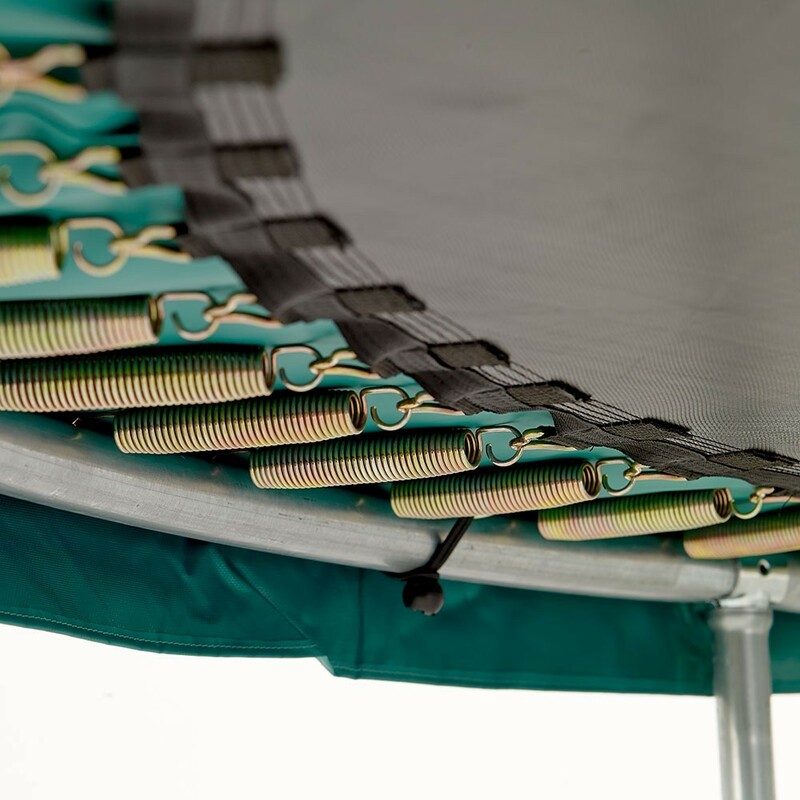 The measurement of your springs should be taken on a spring which has been removed from your trampoline.